← Join us for the 2014 Walk for Life! Satterfield’s Jewelry Warehouse is participating in Light the Town Pink! We will be taking donations to help fight breast cancer this month. 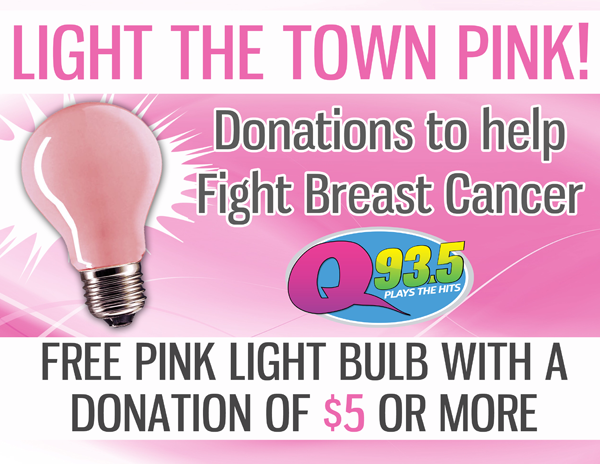 Free pink light bulb with a donation of $5.00 or MORE…while supplies last! This entry was posted in Jewelry News, Uncategorized and tagged fight breast cancer, jewelry warehouse, light the town pink, think pink. Bookmark the permalink.